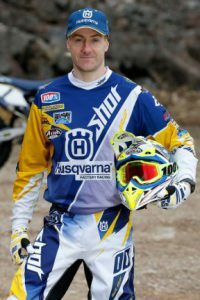 Graham Jarvis is the undisputed ‘God of Hardenduro’. What he can do on a dirt bike has to be seen to be believed. Like all the best extreme enduro riders, he has a background in Observed Trials. 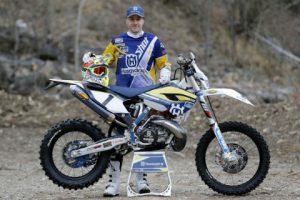 He won his first Trials event when he was only 10 years old and has won the famous Scott Trial nine times, which has never before been achieved in its 100 year history. 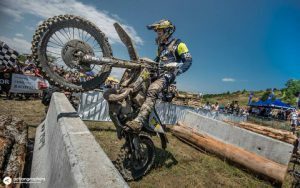 Extreme enduro is a relatively new sport which covers seemingly impossible terrain. It may be natural terrain like steep rocky inclines and boulders, mud and stream crossings, to man-made courses which include obstacles like log piles, tractor tires, motorway barriers & large rocks. 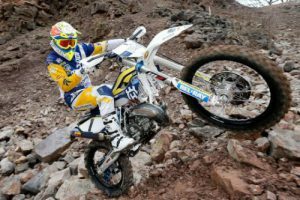 He has managed to transpose his trials skills on lightweight trials machines to standard enduro bikes, a Husqvarna TE300 to be precise. Graham’s bike is stock standard except for a few upgrades: The suspension is softened up a bit and an FMF exhaust pipe is added. The clutch is upgraded to withstand the extra stress placed on it in events like Erzberg. He uses a Hinson basket, plates and pressure plate. He uses titanium Raptor footpegs and Neken handlebars and grips. In Trials, the ‘sections’ are short and last a few minutes. In extreme enduros, a section may last a few hours, where you are on your own in very harsh conditions and not able to rely on anyone else. That’s where the mental toughness comes in. 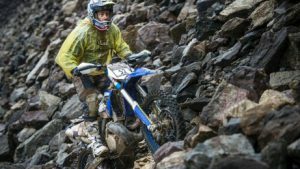 This list of events would represent a world of pain for even a top enduro rider, which just goes to show the level of skill of Jarvis. A quiet and reserved personality, he likes to express himself through his riding. Despite all of his achievements, Graham is extremely approachable and is always willing to share his riding techniques. He frequently runs training schools for local riders when visiting a country to compete in an event. What Graham does on a dirt bike is pure magic to anyone who has ever thrown a leg over a motorbike. Watch and enjoy! Have you ever seen Graham ride, or been lucky enough to attend one of his training schools? Is there another rider you’d like to see a Bio on? Please feel free to leave your comments below.